General Secretary of the Union, alleged that the security agency was charging Rs 5,000 for filing forms and asking for a demand draft of Rs 10,000 in its favour. 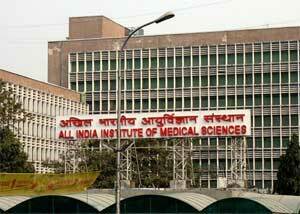 New Delhi: A workers union has alleged that a security services agency was demanding Rs 15,000 each from candidates for hiring them as security guards at the All India Institute of Medical Sciences (AIIMS) here. The Delhi Aspatal Theka Karmachari Union said it has brought the matter to the notice of AIIMS director and sought his intervention in the matter. In the letter, Mrigank, General Secretary of the Union, alleged that the security agency was charging Rs 5,000 for filing forms and asking for a demand draft of Rs 10,000 in its favour. “The agency has started the recruitment procedure by filing the forms of security guards. They are reportedly charging Rs 5,000 for filing the forms. In addition, they are asking a demand draft of Rs 10,000 in its favour. Then, only a person will be considered for appointment,” the letter said. Mrigank said neither was a reason given for the money charged nor a receipt of the money taken was provided to the candidates. “An additional amount of Rs 10,000 is a burden on them (candidates) as this entire sum amounts to approximately their one month salary. “Most of the guards have been working for many years and therefore, it is natural to expect a smooth continuation as they are trained for this work and there is hardly any complaint against them,” the letter added.